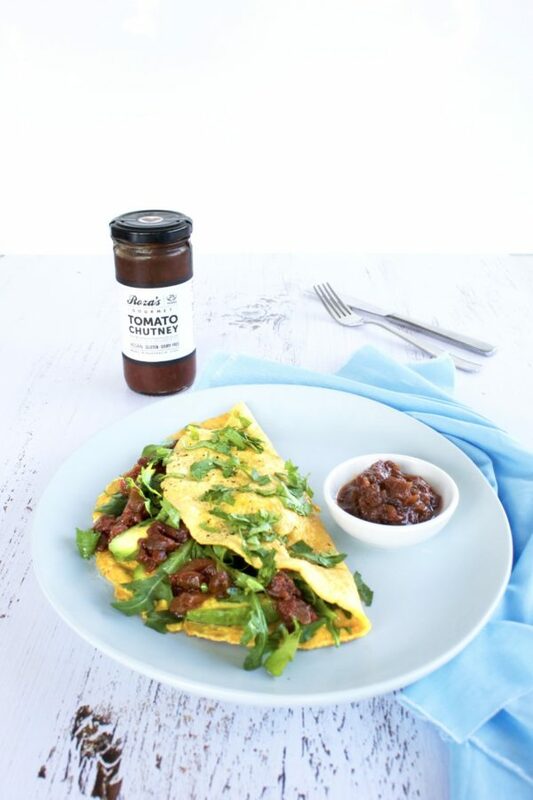 A simple, nutritious omelette with our classic Tomato Chutney for a delicious ‘wake-me-up’. This recipe is free from gluten, dairy and nuts. In a frying pan heat a generous amount of olive oil and sauté red onion over low, heat until tender. Whisk eggs and pour over onions. Tilt your pan so that the egg mix covers the base of your frying pan. Season with salt and pepper. Cook over low heat for 2-3 minutes. When eggs are almost cooked through, add avocado slices on one side of the omelette. 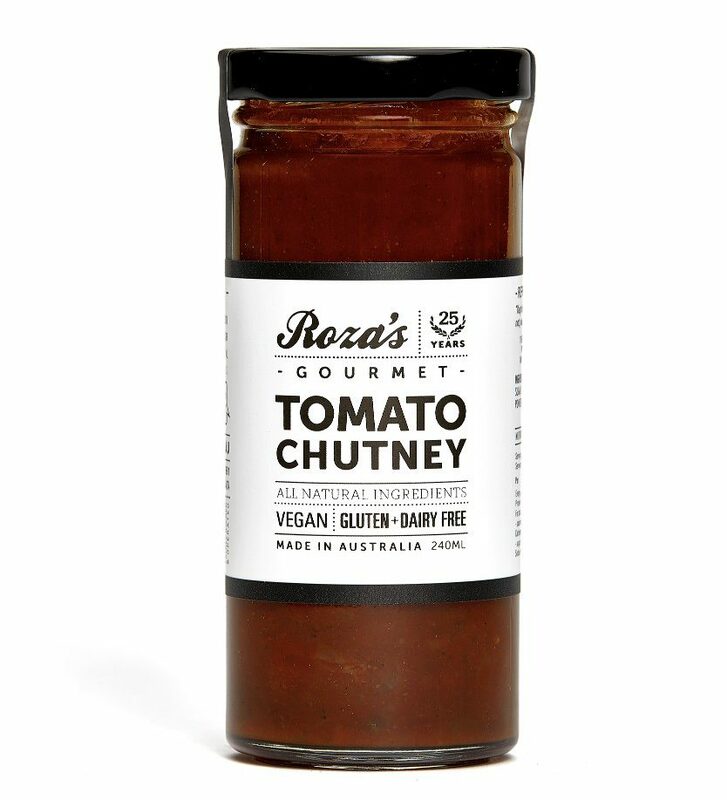 Top with Roza’s Gourmet Tomato Chutney. Toss rocket in olive oil and add to one side of omelette. Once egg is cooked to liking fold omelette in half and serve immediately. Garnish with fresh parsley to serve. 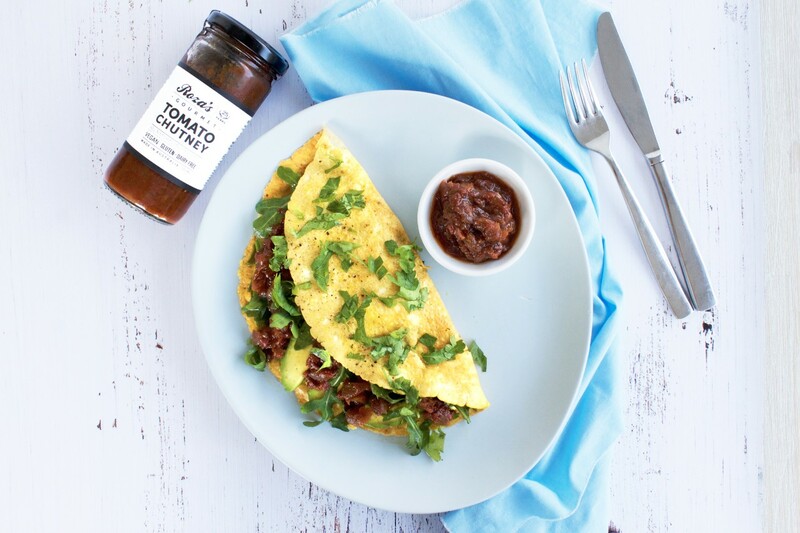 This recipe was designed by Brisbane nutritionist and recipe developer Casey-Lee Lyons from Live Love Nourish for Roza’s Gourmet.